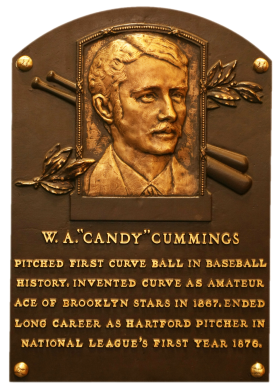 Baseball's legendary inventor of the curveball, Candy Cummings allegedly discovered the pitch while tossing clam shells as a youngster. 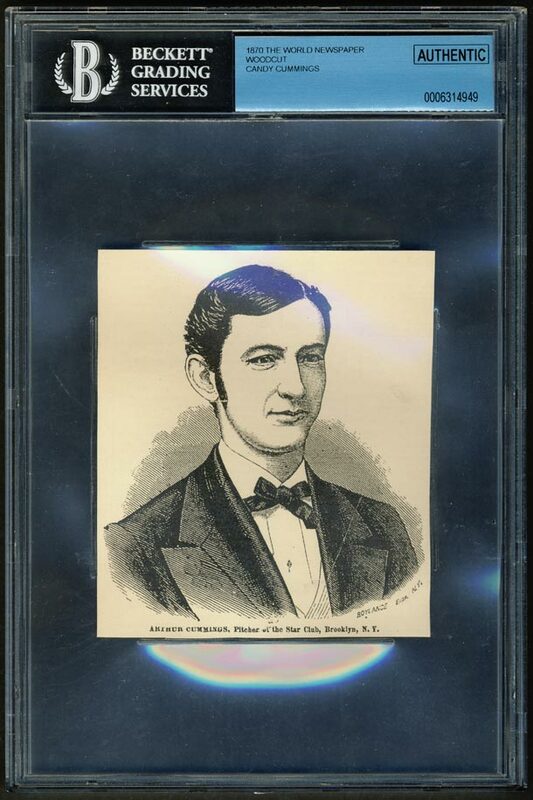 Despite standing 5'9" and never weighing more than 120 pounds, from 1872 to 1877, he won 146 games before overwork forced him to retire. Cummings pitched for the Excelsior Club of Brooklyn before becoming a professional in the National Association. Description: This Candy Cummings woodcut originated from an 1870 issue of The World Newspaper, which was a general New York publication of the day similar to present day NY Daily News or NY Post. 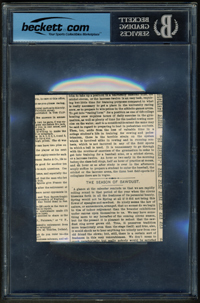 The woodcut actually accompanied an article written about the Brooklyn Stars victory the previous day along with text detailing Cummings' exploits as the winning pitcher. As for woodcuts, they were primarily used by publications during the 1850's - 1880's as printing photographs at that time was extremely costly. The woodcut process involved an artist taking a photograph and engraving the image into a block of wood and then inking the raised edges of the wooden image to print the portrait in large quantities. These woodcuts were more often done for baseball teams than individual players and many are catalogued in Lew Lipset's 19th Century Baseball Card Encyclopedia.